Patricia Coe is a practicing chiropractic physician and NST practitioner. A background in massage therapy lead her to studies in chiropractic medicine and acupuncture, as well as currently studying to become a naturopathic physician. She has been incorporating NST into her practice since attending her first workshop in 2001. Bartek is a practising Physiotherapist and NST specialist. His work is based on a holistic approach to health and physiology that focuses on intrinsic body-system connections. His treatments are creating sustainable results for his clients. Using NST as his main therapeutic clinical tool Bartek places equal significance on the spinal and structural work as he does the emotional and psychosocial aspects of his client. To this end he also incorprates other techniques such as Mikrokinezyterapie. Bartek is extremely passionate about transfering the knowledge he has gained via organising and teaching NST seminars. Remedial trained therapist since 2001, Wendy has been a keen advocate of NST since undertaking her Basic training in 2005. Wendy has gained vast experience in the sports industry including the Sydney based Parramatta Eels NRL Team and Australian netball teams and umpires. Wendy currently manages her own multi practitioner clinic whilst teaching the Diploma of Remedial Massage at TAFE College, south of Sydney. Her aptitude and desire to educate practitioners in NST has inspired her to join the Australian NST team. Marianne has strongly supported and been passionately involved with Bowen Therapy since 1999 both as therapist and significantly President of the BTFA. She has taught at the Challenger TAFE in Perth, Western Australia and holds extensive qualifications in Remedial massage, Lymphatic drainage, Reflexology, Reiki, Aromatherapy, Nutrition, Herbal remedies and Flower essences. Marianne combines her teaching of NST with a successful clinical practice in Gosnells near Perth. Jean-Luc Paratte has been a licencsed sports teacher since 1996 having qualified at the prestigious Institute for Sports at the University of Basel, Switzerland. Since 1999 successful personal trainer in Heidelberg. Since 2012 certified Naturopath. He has been a qualified NST practitioner since 2000 and uses NST as his main clinical therapeutic technique. Robert’s interest in the field of structural bodywork started in the 1980’s with training from his father, a chiropractor and osteopath, in the theory, assessment and treatment procedures of Sacro Occipital Technique (SOT). He commenced formal studies in Bowen Technique in 1997 and since that time has continued to broaden his knowledge and experience in the Bowen field studying all available forms. Robert has also completed Diplomas in Homoeopathy, Biochemic Medicine, Remedial Massage, Cranial Laser Release and Korean Hand Therapy. Anke a qualified Heilpraktiker (naturopath) and Herbalist has been a health and lifestyle teacher for over 20 years at her own school in Gotha, east Germany where she and her husband specialize in Yoga, Qi Gong and Energy Medicine education. Regarded as an ‘inspirational teacher and therapist’ by her many students and clients alike, Anke largely attributes the title to her passion and expertise in employing the NST system that she discovered in 2002. Angela runs a private practice in Naturopathy, Acupuncture and Remedial therapies, enhanced by NST. 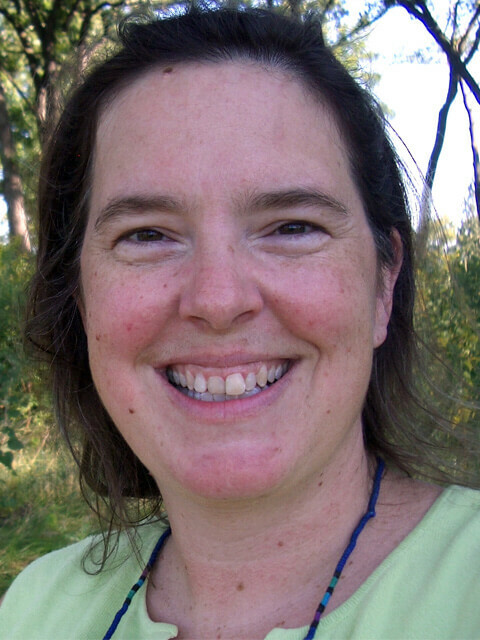 She has also been teaching at the Southern School of Natural Therapies for over 20 years. Subjects include Bowen therapy, Massage techniques and Supervision at the THINK Wellness clinic. Angela is a dedicated teacher who aims to involve students in a dynamic experience, which has value for them as individuals and results in an appreciation of the rich layering and subtlety of the body. Michael’s passion for teaching NST is palpable at every seminar he teaches. As founder of NST his unique inside relationship with NST’s development and its clever operating system is strongly evident with each protocol he explains. His ability to generate genuine enthusiasm with his audiences by creating simple and powerful insights into complex physiological systems and health issues is a hallmark of his trainings. Bernard has been a professional practitioner for several years and has qualifications as a Physiotherapist, Osteopath, Chinese medical practitioner, Kinesiologist and NST therapist. He the Director of the French school of Kinesiology in Marseille, and is a specialist teacher in various kinesiological methodologies including, Brain Gym, Touch for Health and PKP. His other interests include Yoga, Aikido, Tai Chi Chuan, music and nature. After attaining a degree in Physiotherapy in Brussels in 1985, Jan specialised in several disciplines including Manual Therapy, Orthopedic Medicine, Sports and Aetiopathic Therapy, Osteopathy and Applied Kinesiology. Along with teaching NST in Belgium Jan also specialises in post graduate osteopathic training for sporting and juvenile conditions. In 1986 he founded a Clinic for Osteopathy and Physiotherapy in Belgium and NST has become the main treatment method with the mainstream of patients being babies, children and various sports professionals. Jan’s sports work has taken him to the highly demanding 24hour GT racing circuits of Le Mans, The Nurnburgring, Spa Francorchamps where he predominantly uses his NST skills to keep drivers at peak performance. Michael has worked professionally in Remedial Massage expanding his technical repertoire significantly since 1988. He has been involved in the training and development of massage therapy education for professionals since 2001. His passion with NST began in 2006 and has since developed into his main therapeutic approach combining NST bodywork with NST Deep Cures to achieve outstanding results with his clients including the many athletes with whom he works. 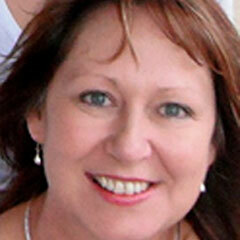 Shayne Sullivan is a qualified Bowen, NST, massage and Myotherapist. Having trained in NST in the late 1990’s, Shayne uses NST as an integral part of her treatment protocol. With over 20 years experience as a practitioner in the Geelong area, Shayne has found that NST works exceptionally well in the areas of disability and mental health. Also a qualified teacher, Shayne has also taught anatomy, physiology and massage and this passion now extended to the teaching of NST. Joanna provides much of the drive that keeps NST running smoothly at an international level. In addition to operating her own successful private clinic in Melbourne Australia she is responsible for the promotion and organisation of NST seminars and products worldwide and is the person with whom you will be communicating when you contact the NST Office. Joanna started her career with NST in 2006 in Germany where she also qualified in economics, physiotherapy and naturopathy. She developed and operated her own private clinic in Germany and has been teaching NST seminars throughout Europe with Michael since 2008. Her qualifications include a Degree in Physiotherapy, University of Freiburg, Germany, Naturopathic Diploma, Department of Health, Freiburg, Germany, NST International Teaching Diploma and Sports Massage Diploma, Melbourne, Australia. Joanna single handedly introduced NST to Poland, her country of birth, and has since overseen its successful growth and development there. Ulrike Walter has been working as a professional Kinesiologist since 1996 specializing in NST, stress management, learning and limited functional disorders. She worked intensively at the prestigious Ruhrtalklinik for the physically and mentally disabled between 1996-2006. Ulrike started working with Michael Nixon-Livy in 1997 and assisted in most of his German workshops. Today she shares her teaching time between NST and a broad variety of general and highly specialized kinesiological workshops. Jean-Luc Paratte has been a licencsed sports teacher since 1996 having qualified at the prestigious Institute for Sports at the University of Basel, Switzerland. Since 1999 he has successfully run his own gym in Heidelberg and in 2001 he founded the unique Kinefit concept which combines sports science and kinesiology. 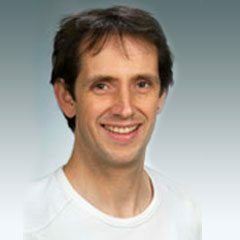 He has been a qualified NST practitioner since 2000 and uses NST as his main clinical therapeutic technique.